The Comfort Suites® Visalia Convention Center is a spacious Visalia, CA hotel with suites where you can get a great night’s rest–and famous waffles. Get a great start to the day at our Visalia, CA hotel. You can also earn rewards like free nights and gift cards by joining our Choice Privileges® program. 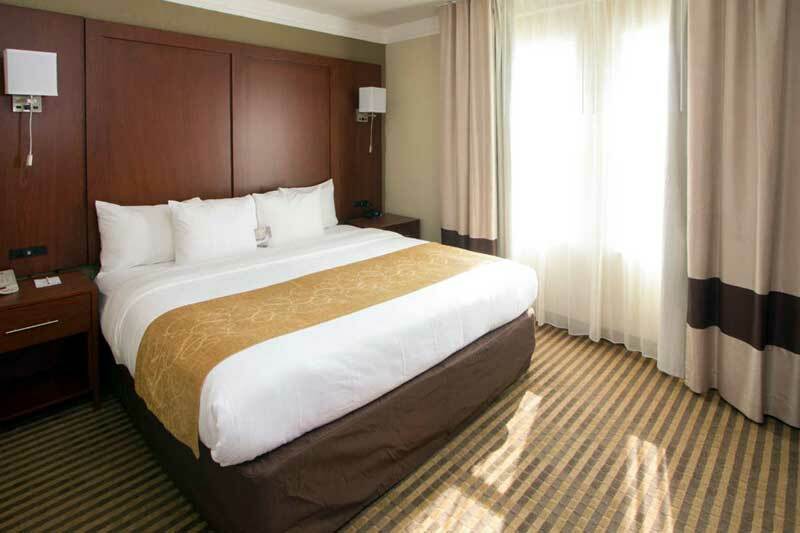 ADA Compliant Rooms are also available. Activities : Visalia invites travelers to experience the beauty, culture, and unique flavor of our destination, year-round. Hit the links, spend an evening at the symphony, dine in one of the cities' world-class restaurants, or have a hiking, biking, camping, whitewater rafting or horseback riding adventure in a place of unmatched natural beauty! Airport : Parking is available in front of the Airline Terminal Building. There is no charge for airport parking, either short-term or long-term. Passenger vehicles can be left a maximum of 10 days without obtaining prior permission from the Airport Administration office. Longer stays can be arranged by contacting airport administration at (559) 713-4201. Attractions : Come and play in our backyard and discover what makes the Sequoia region such a special place! Business : A meeting can be a meeting, or it can be an experience. 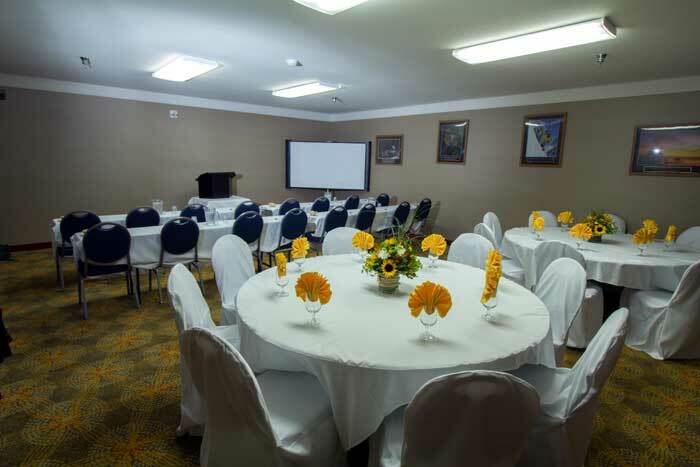 The Visalia Convention Center is designed to maximize your event requirements. Conventions, trade shows, meetings, live entertainment, weddings and special events, you name it, the Visalia Convention Center is the ideal setting for your next event. Dining : A foodie's ultimate paradise, Visalia has always been a hotspot for fresh, farm-to-fork cuisine. And now, the secret's out! In 2010, the city was named one of America's Best Small Towns for Food by USA Today and RandMcNally. Since then, fine dining chefs, cooks and bartenders across the community have been cookin' up all the finest dishes, and sharing our favorites with you! Government : The offices of City Government are housed at 425 E. Oak Ave., Suite 301, in downtown Visalia. Representatives include: City Mayor; City Councilmembers; City Manager; and Chief Deputy City Clerk. Information: (559) 713-4512. Hospitals : With more than 300 physicians and 3,600 employees – nearly 1,000 of which are registered nurses – Kaweah Delta Health Care District provides the people living and working in California's bustling Central Valley with access to high-quality health care just minutes from home. Shopping : Browse and buy to your heart's content! Visalia is a shopping community for all tastes. Mosey through antique stores on East Main Street, twirl in designer dresses at many of the city's finest boutiques, find all your favorite brand names at the Visalia Mall, or head south to the outlet center for the best prices around! University : College of the Sequoias is a two-year California community college offering educational and enrichment programs for the residents of its district in Tulare and Kings counties. The college was established in 1926 and moved to its current 62-acre main campus site in Visalia in 1940. In addition to the campus in Visalia, COS operates a full-service center in Hanford that is also home to the college's police and fire academies. COS also opened its Tulare College Center in January 2013. It is a full-service college center and the home of COS' agriculture programs. Wineries : As the heart of the most productive agricultural region in the nation, our community takes pride in sharing what's homegrown. Visit in early spring to see the hills vibrant with blossoming fruit trees and smell the sweet aroma of citrus blossoms across the Valley floor. In the fall, look for pumpkin patches and beautiful fields of yellow corn! Finally, be sure to stop at any of the many Visalia's wineries for a wonderful wine experience! Welcome to our great hotel in Visalia California with affordable rates and cheap budget discount lodging. 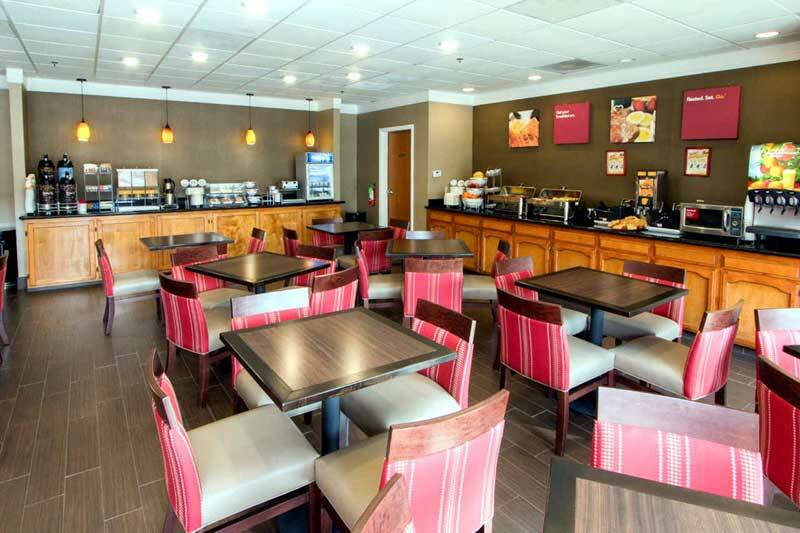 Comfort Inn Suites Downtown Visalia welcomes you to our budget hotel in Visalia California. 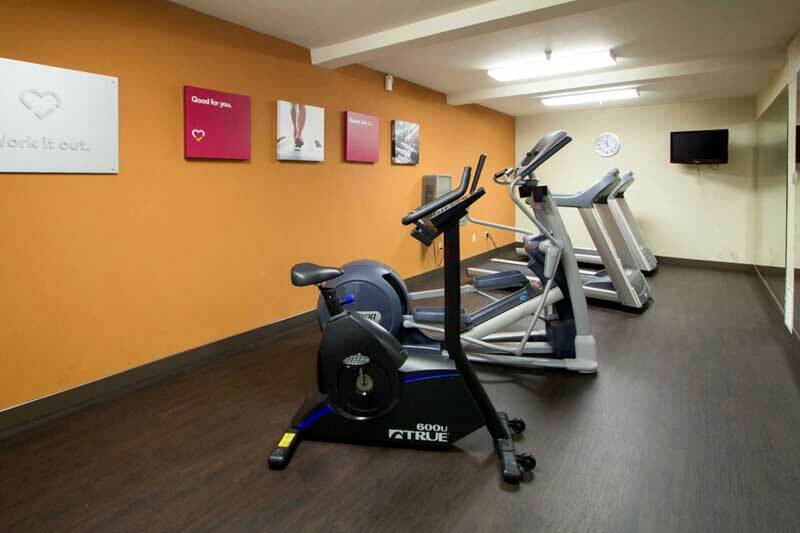 Comfort Inn Suites Downtown Visalia will provide you excellent customer service with great amenities in comparison to all Hotels and Motels in Visalia California. Please visit us on your next stay in Visalia California and let us provide you with 4 star hospitality for 2 to 3 star budget rates. Comfort Inn Suites Downtown Visalia has been providing lodging and accommodations in Visalia California for several years and looks forward to providing our valued customer and business traveler with the best service in Visalia California for Hotels and Motels in our local area.